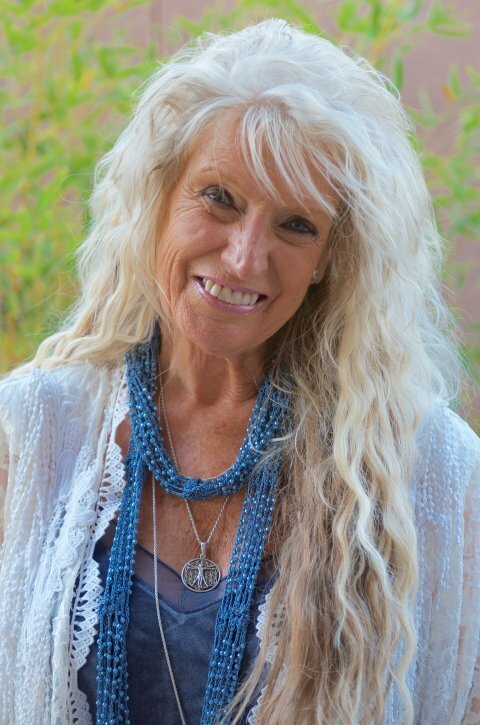 Dr. Judith Long is a renowned counselor and author, a lifelong intuitive helping people worldwide...She is considered and expert in the field of expanded human consciousness. Drawing on 25 years of experience, Dr. Long applies metaphysical principles in her healing work and life. She is known for her ability to awaken the true essence of her clients and students. Her healing ability is extensive and well received by many throughout the world. Dr. Judith was accepted as a teacher in Drunvalo Melchizedek's "School of Remembering" in 2011 and is holding classes in "Awakening the Illuminated Heart". This life enhancing work offers instructions on how to create from the heart and how to ascend consciously. Dr. Judith feels that the processes learned in this workshp ore the most important practices we can use today. The activation of your natural merkaba is life giving and a natural means of protection and upliftment. We need this information in order to ascend consciously. This workshop is a culmination of Drunvalo's life's work. Dr. Judith says it is an honor to be teaching it. "I love living in Sedona. The beauty of this place is forever God inspiring. The energy here is authentic. It keeps me authentic. I love the opportunities it offers to enhance ones' Ascension into higher consciousness." "I am willing to travel to your area but, whenever possible, I would want you to come here. It simply is easier for you and for me." Dr. Long practices in Sedona. She earned a Bachelor of Science degree in Education, a Masters degree in Educational Psychology and a Doctoral Degree in Metaphysical Science. She can be reached at drj[email protected] and 215 939-5495. I would like to express all my appreciation gratitude and love to Judith and Drunvalo for creating this magical incredible workshop, it did change my life, it did open my heart, I wish all people in our Planet could join it and knew how to live communicate act think and create from the heart. Love you!!!! Wish you much more creations health happiness and love! Viktoria from Ukraine. Dr. Judith is an amazing teacher, and I feel blessed for having taken this workshop with her. Thank you so much for sharing this wisdom! Dr. Judith is a very experienced and multi-skilled teacher. I feel very fortunate to have taken this workshop with her. It was truly life-changing. Thanks to her and to Drunvalo for an amazing course of instruction and experiences. The only reason it wasn't 10s across the board, is #2. The website was unable to book my registration, so I had to call and manually register. But Judith took care of all that. Otherwise, it was a perfect experience. It was a great experience for me and made me understand and see so much. I was lucky to choose Dr Judith Long who was patient and passionate to make me learn the way through the tiny secret space of my heart and how to start creating from there. A really truly amazing experience. Thank you. i've been meditating most of my life. This workshop is like coming home after a long absence. Through the meditation I experience bliss and Devine Knowledge. I would recommend this workshop to anyone open to love and truth. I'm still getting use to getting into my Sacred space of heart and the TINY Space. I'm unsure of how to create from the Tiny Space of the heart. My beams are beaming on their own. I am enjoying meditation again and know I have much more to discover with practice. I believe more emphasis should be made on the necessity of healing the mind (ego). Having a more sophisticated understanding of the egoic system - perhaps from A Course in Miracles or the Enneagram - would really take this to another level. Without a real understanding of the psychological element of healing the mind I think the ascencion path is not fully understood. Judith was a great teacher and I think her psychological background was very helpful in relating some of the material to everyday life, but I do not think it went far enough. Judith was an incredibly patient and knowledgable speaker, not rushing anyone and really being present with wherever anyone was and not making anyone feel excluded. I think that is a crucial element to being a good teacher. Thanks, Judith. A little synchronicity, creativity, and sacrifice helped five students receive instruction from a great teacher. My heart felt appreciation to Dr. Judith Long for her over and above efforts and sacrifice in making this workshop possible.